Newberg Animal Shelter accepts pets from the owners by appointment only. We are a small no-kill shelter, space and resources are limited. We maintain a Wait List of animals that need to come into the shelter and your pet will be added to the list. We are unable to accept pets the same day. As pets are adopted, space becomes available, and owners will be called to schedule an intake evaluation appointment. We give appointment priority to at-risk pets and pets affected by natural disaster. Call or email the shelter at 503-554-9285 or newberganimals@gmail.com to talk with us about your situation. When staff calls to schedule an Intake Evaluation Appointment, your pet will undergo health and behavioral evaluations. Please plan to bring in all vet records you have for your pet. This appointment does not guarantee that we will be able to take your pet into the shelter. The evaluations are to determine if the pet is safe to bring into the shelter. We have a responsibility to our volunteers and the pets in our care. We will not bring in pets that pose any serious health risks. We will have you fill out a pet questionnaire with detailed information on your pet that we can provide to their future family. We do not have a required fee to re-home your pet with us, but we appreciate a donation of any amount you can afford. We take on the cost of caring for your pet until we find the right home for them. The care we provide costs more than we are able to recoup with adoption fees. A donation helps us continue to provide the best possible care. 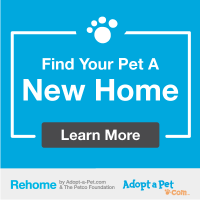 Another option to re-home your pet is through Adopt-A-Pet.com’s Rehome program. This program is managed by Adopt A Pet and not Newberg Animal Shelter. This option is if you are able to keep your pet while finding them a new home. You create a profile for your pet to be posted on Adopt-a-Pet.com, you would review applications, meet adopters and finalize the adoption. If you use the below link and add that Newberg Animal Shelter referred you to this program then we do get a donation if you use their services.